Hey everyone! I skipped out on Monday's post because I was busy all weekend at the state fair, and then I was too exhausted to swatch or write up posts. Feels strange starting my "blog week" on a Wednesday. Anyways! 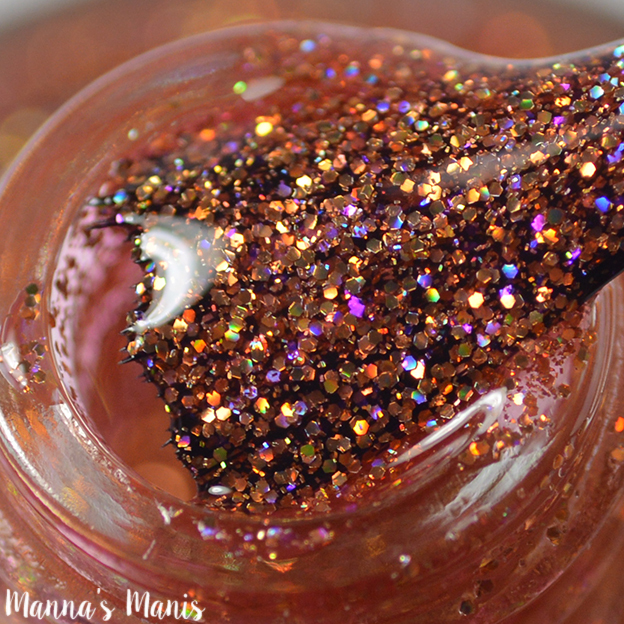 Today I'm going to share the August DOTM from GlitterDaze with you all! 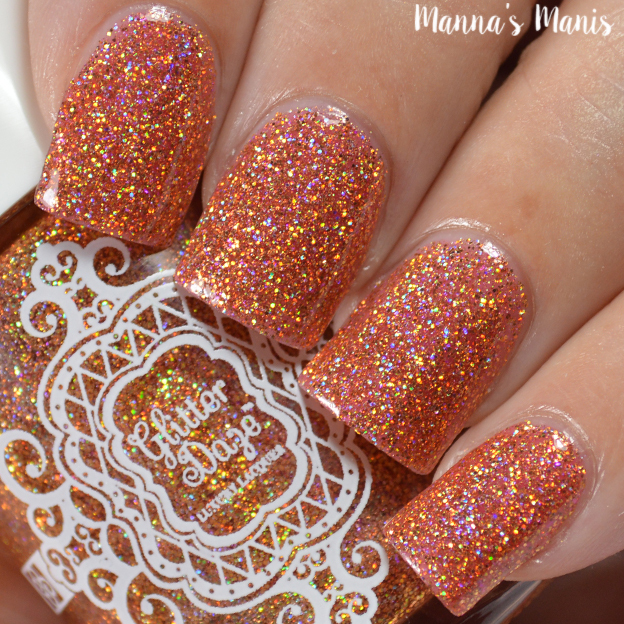 Shell We Dance is a peachy pink jelly polish filled with holographic gold micro glitter. This one is an absolute stunner in the sun, just like a conch shell. 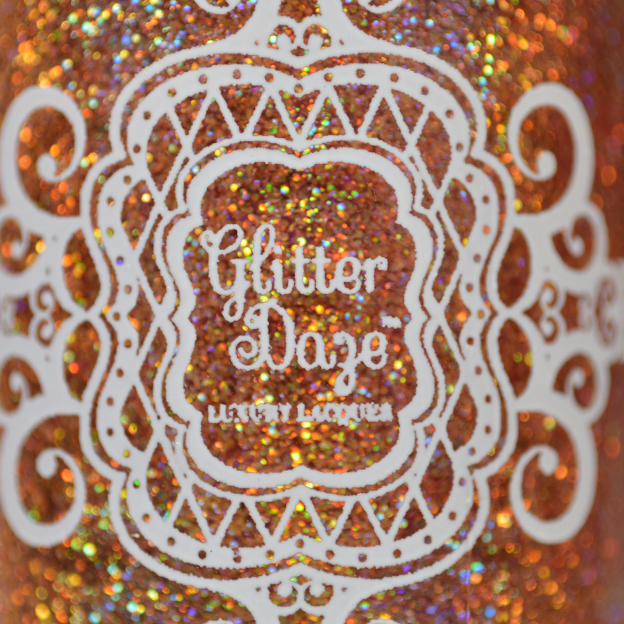 No issues with formula or application, applies smoothly and the glitters distribute evenly. Shown below is 2 coats with top coat. The free gift this month are mini mermaid scale vinyls. 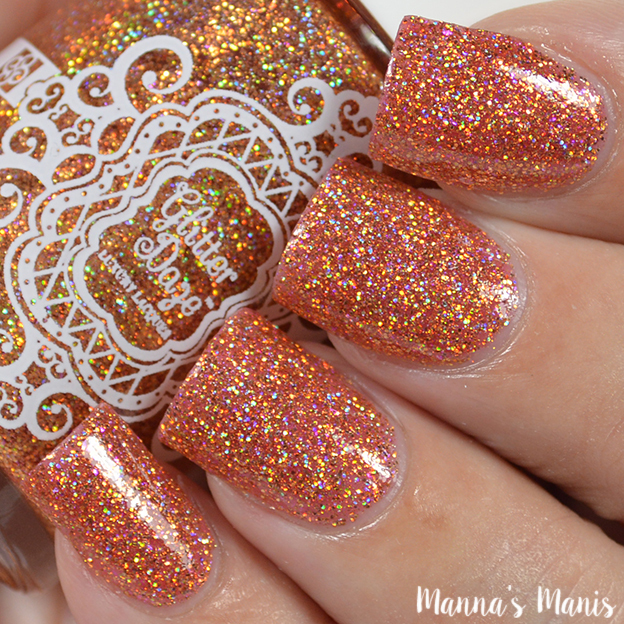 I haven't done a mani with them yet, but when I do, I'll update this post! $15. Money is taken out of your paypal account every month. Cancel at any time! Monthly cut-off date is the 2nd of the month. For example, if you subscribe on 8/2 you are eligible for August's box which will be mailed out approximately 8/15. If you subscribe on or after 8/3, your payment will go toward September's box. Also offered is the option to purchase single month boxes. Available until the end of each month, or while supplies last. 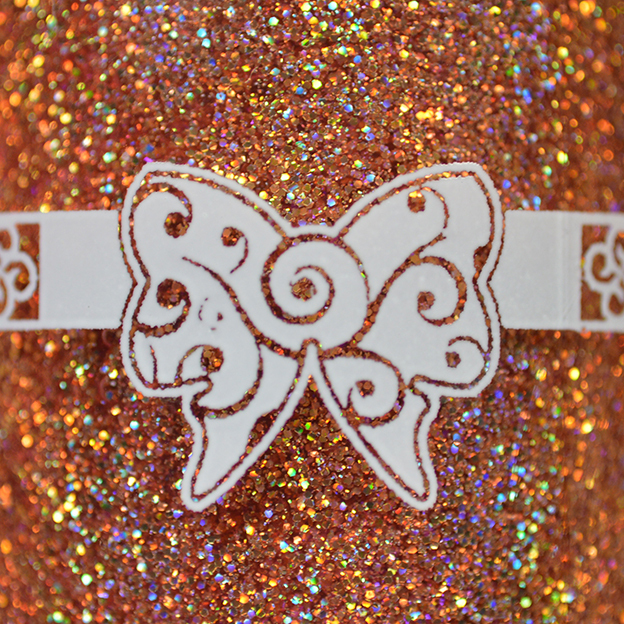 This polish is only available until the end of August! Get a free sample of Cat-Sip!